Everyone who rides at Perth Wake Park must watch the safety video and sign our Waiver. The safety video explains how to get the most out of your riding ticket, ride safely and has useful tips and tricks. To save time at the Park and maximize your riding time, watch the video and sign the Waiver online HERE. Entry to the park is also free for spectators. Watch the action or grab a bite to eat or a drink from the café. All park tickets include the essentials; a mandatory buoyancy vest and helmet and basic wakeboard or kneeboard. We also have a ‘pro’ range of boards and wakeskates to hire that allows you to hit our obstacles. Head into the pro shop to buy your ticket and get the safety briefing. 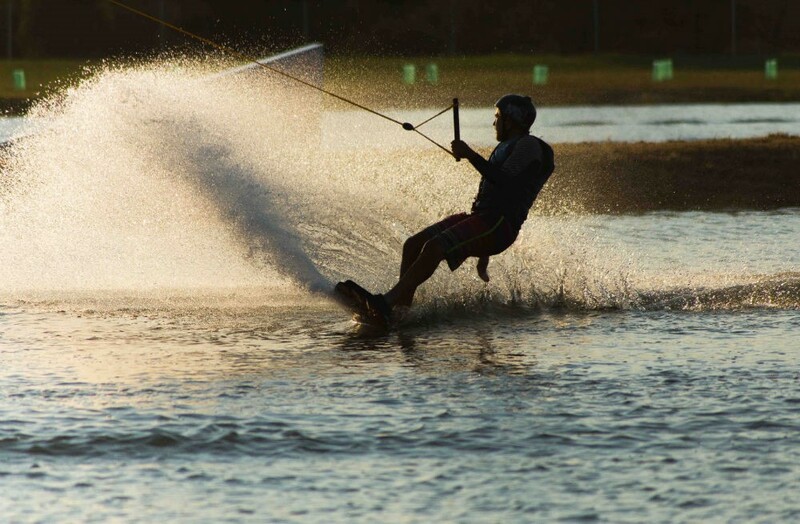 Perth Wake Park provides a range of activities for varying levels of riders. All riders and persons who visit Perth Wake Park must, in addition to abiding by our rules, use common sense at our facility, in riding on the cable system and encountering the features we have provided for your enjoyment. If a visitor or rider has any questions, they should see a member of PWP staff immediately. Below are the park rules and regulations. These are to ensure everyone enjoys the park in a safe and responsible manner. By entering on to the PWP Premises You are deemed to have accepted our rules and regulations, Terms and Conditions available on our website, and this Waiver. Participants cannot participate in Activities unless they have signed a Waiver to be held on file by PWP. If a participant is under 18, their legal parent or guardian must accept and sign the document in the presence of a PWP employee. Participants will sign in digital form and agree that the signature will be binding upon them. Participants must only ride the cable with the mandatory buoyancy vest and helmet. There are no exceptions. Participants must participate in a safe manner and avoid collisions with other riders and obstacles at all costs. Participants must obey all instructions from PWP staff at all times in particular safety instructions. Fighting or any aggressive behavior will not be tolerated at PWP and will lead to ejection from the park.